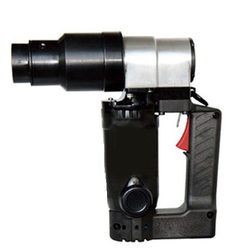 Being the foremost company, we are offering an exclusive array of Impact Wrench. Our offered array is famous for its attractive functions. TRITORC SL-Series Light Weight and Compact Shear Wrenches provides consistent, reliable Torque Tightening and Shearing to the Tension Control Bolts. TRITORC Electric Shear Wrenches are capable of achieving Controllable Torque Range of 5000 Nm with supported Bolt Sizes upto M36. All Shear Wrenches are Calibrated and Certified at our in-house test bench facility. Picture 1 Shows the normal shape of the TC (Torque Control) Bolt which has splined part extended at the end. 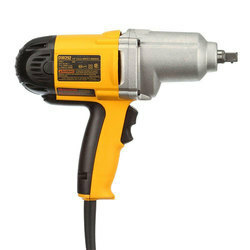 No load speed: 0 - 2, 300rpm.